This story was produced in partnership with The New Yorker. 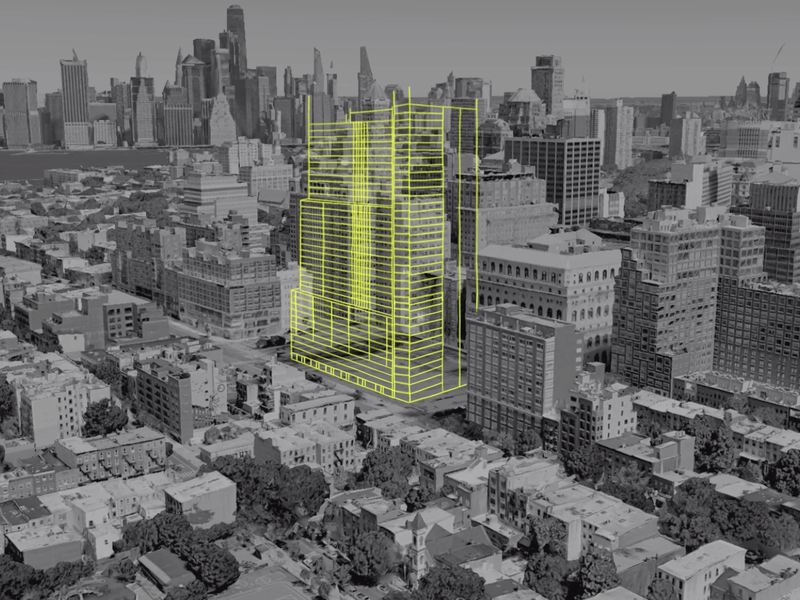 At top, the proposed Brooklyn jail at 275 Atlantic Ave. is planned to be 395 feet tall. Dana Kaplan, a deputy director at the Mayor’s Office of Criminal Justice in New York City, is shepherding a plan to close Rikers Island and create four smaller borough-based jails. For the past several months, Kaplan has been working on a study, released on Friday, that outlines a basic proposal for the new jails, which includes the construction of four facilities close to borough courthouses in Manhattan, Brooklyn, Queens and the Bronx. Each would hold more than 1,400 people and have areas for visitation and educational programs. Parts of the buildings would also be available for community uses, such as retail stores or meeting spaces. Public hearings on the proposal will likely begin next month, and a City Council vote is scheduled for the fall. De Blasio will leave office in 2021. The further along that the construction is by then, the more difficult it will be for a future mayor to reverse course. Any stumbles now will make it harder, ultimately, to close Rikers at all. Rikers Island used to serve as a landfill site for the city and was home to vegetable and pig farms. The jail was opened in 1935 and has been notorious for its violence and dysfunction for decades. But the mayor’s decision to shutter its facilities largely grew out of a series of recent scandals, most notably, the case of Kalief Browder. Browder was arrested at the age of 16, for allegedly stealing a backpack, and spent three years at Rikers without a trial, during which time he was subjected to long stretches of solitary confinement and beatings by both other inmates and correctional staff. He was released in 2013, after Bronx prosecutors dropped the charges, but struggled with severe mental-health problems. Two years after his release, Browder took his own life. His family joined with a growing campaign of activists demanding that the city shut down the island. The following year, Melissa Mark-Viverito, who was then the speaker of the New York City Council, formed an independent commission to research possible reforms at Rikers. The commission, which was led by Jonathan Lippman, a former chief judge on the New York Court of Appeals, issued its final report, “A More Just New York City,” in April 2017. It recommended, among other things, releasing more defendants before trial, rather than holding them on bail, and, in some misdemeanor cases, not requiring court appearances at all. The commission’s most radical recommendation, however, was that Rikers, which it called “a powerful symbol of a discredited approach to criminal justice,” should be shut down entirely. De Blasio announced his intention to close the jails on the island two days before the commission released its report, and has since been carrying out many of its recommendations. A new “supervised release” program, which allows certain offenders to remain out of jail—provided that they meet regularly with case managers—has been credited with 38 percent of the decline in the population on Rikers. “We’ve seen a fundamental change in behavior: in New Yorkers, who are just committing fewer crimes; in police, who are arresting fewer people; and in judges, who are diverting more folks,” Elizabeth Glazer, the director of the Mayor’s Office of Criminal Justice, told me. The commission enlisted the Van Alen Institute, an architecture think tank, to develop innovative approaches to jail design, partly by soliciting input from people who have been incarcerated. Even before conceiving of actual structures, the commission noted, the most important step would be finding the right locations. About 10 percent of the inmates at Rikers are transported off of the island to court appearances each day. The trips take hours to complete and cost $31 million a year. The remote location also makes it difficult for families, lawyers, teachers and other service providers to visit and help those inside. In November, Greene and Kaplan were part of a group of city officials who flew to Denver to tour the Van Cise-Simonet Detention Center, a jail that Greene’s firm helped design, a decade ago, with the aim of housing inmates in a more humane and safe environment. From her hotel, Kaplan could see the jail, which stands about 95 feet tall, with a handsome limestone façade, and was surrounded by planters full of flowers. The jail, which houses 1,500 inmates, has often been held up as a model in planning conversations in New York, but after visiting, Kaplan felt that the facility also provided a lesson in what not to do. The classrooms were small, and there was little outdoor space. The architects were constrained, in part, by zoning laws, which prohibit structures from blocking the view of the Rocky Mountains from the Colorado state capitol. Four New Yorkers have emerged as leaders among residents who oppose aspects of the mayor's plan. From left, Justin Pollock, board president of a condominium in Brooklyn; Nancy Kong, president of a residential co-op building in Manhattan’s Chinatown; Dominick Pistone, a civic association president in Queens; Arline Parks, chief executive of the Diego Beekman Apartments in the Bronx. On a recent morning, I watched Kaplan address a room of 30 criminal-justice experts and advocates, laying out the policy puzzle facing the city. Each proposal to reduce the height of the jails entailed changes—such as moving certain cells away from direct sunlight, or housing more inmates in each area—that seemed likely to cut against the goal of making the facilities more humane and rehabilitative. One leading idea was to house all of the city’s female inmates at a single site, as opposed to building separate sections in each new facility, which would reduce the number of beds needed in three of the four jails. This would also allow the city to provide more specialized services for the women, but there are trade-offs; for instance, their lawyers and families might have to travel farther to see them. Another suggestion concerned the number of extra beds in each facility. The city was expecting to build enough space for a population of 6,000, leaving a thousand extra beds to give corrections officers flexibility in determining housing assignments. Carmen Pineiro, a community organizer with the Bronx Defenders, suggested slashing that number. “I think that sounds awesome,” she said. Except, Vincent Schiraldi, the city’s former head of probation, said, “when a whole bunch of these guys are trying to get at a whole bunch of those guys and everybody is on lockdown.” Dan Gallagher, an architect, summed up the problem. “What happens on the inside is what makes it bigger on the outside,” he said. But even if the plan moves beyond a City Council vote this fall, other questions loom. What if the jail population cannot be reduced to 5,000? What if the next mayor has no interest in closing Rikers? What if crime, which began to decline in the 1990s, for reasons that remain unclear, begins to climb? And what should be done with the island itself? Some critics say that the mayor will hand the property over to real-estate developers. The First Deputy Mayor, Dean Fuleihan, told me that the administration would consider using the land for affordable housing. And then there is the cost of the proposal as a whole, which has not been tallied; the Lippman Commission estimated that it would cost $11 billion to build a five-borough-based jail system, although it also estimated that its recommended reforms could ultimately lead to an annual savings of $1.3 billion. Correction: An earlier version of this story incorrectly described the results of a "supervised release" program in reducing the jailed population on Rikers. 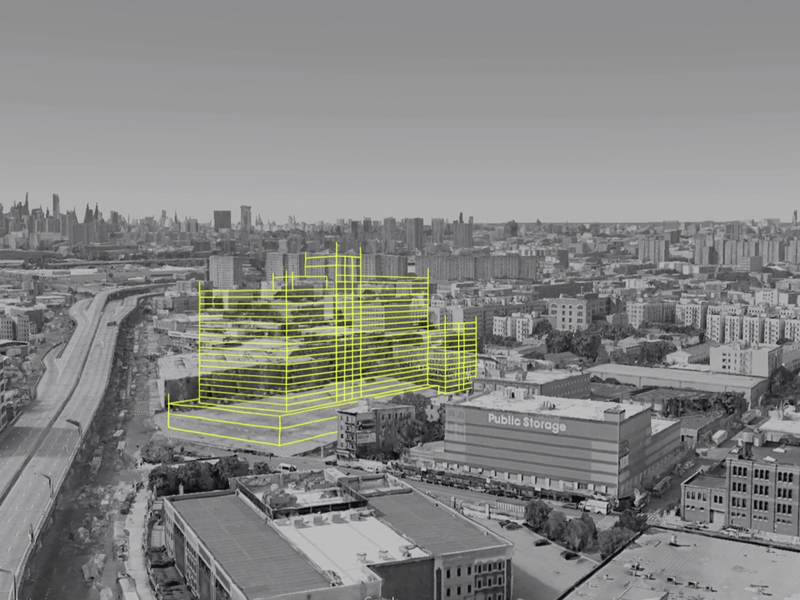 The Marshall Project created animations of the four proposed jails based on preliminary architectural drawings, exterior renderings and site maps provided by the Mayor’s Office of Criminal Justice. 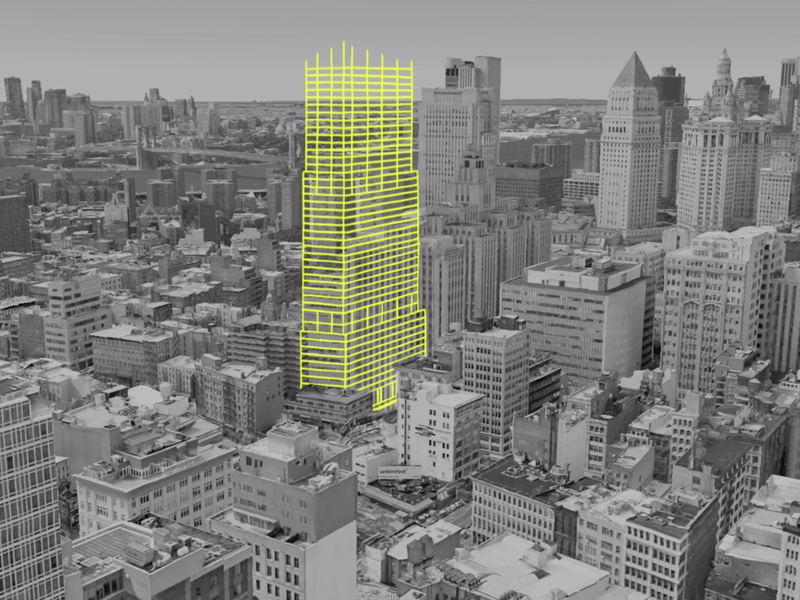 The animations show the maximum allowable heights of the buildings as of March 2019.